The installation of turnkey pumps is one of the fundamental pillars of Solve IMI’s professional endeavours. Thanks to our extensive experience, there are numerous customers who place their trust in our company for the installation of their pumping equipment. Solve IMI takes care of the entire process, from the initial phases to the start-up. At Solve IMI, we have all the necessary means to carry out any type of project. Our actions are based fundamentally on seven measures, which guarantee a successful pump installation. These seven measures are part of the installation of turnkey pumps that we offer, providing equipment ready to connect and start up, without our customers having to worry about assembly or operational tests. The client decides if they wish to have the recommended complete installation, or with certain accessories. In the first place, before carrying out any action, a study of the requirements and of the existing installation is performed, should there be any. In this way, we manage to maximise and take advantage of our own resources. 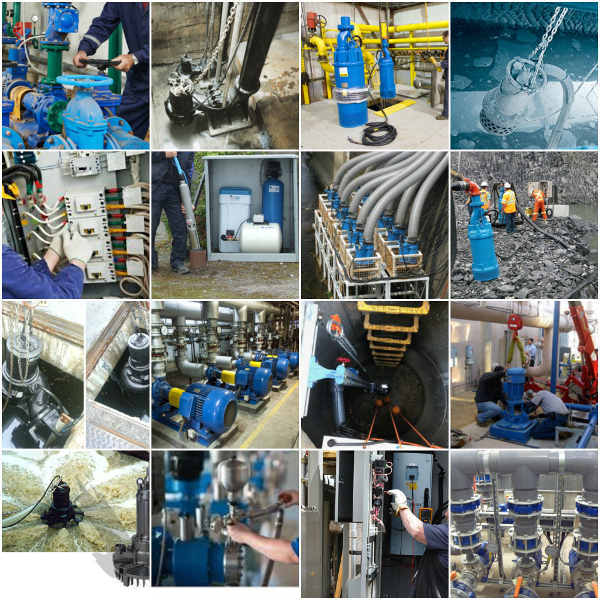 After obtaining the results of the study, Solve IMI is entrusted with selecting the most suitable pump system in each scenario. At Solve IMI, we are official suppliers of leading brands in the sector. For this reason, we offer a wide range of pumping equipment of all kinds, all endowed with the highest quality standards. This point streamlines the process and allows us to guarantee the supply of the finest materials. Proper installation of the pipes is as important as choosing the right pump equipment. At Solve IMI, we also have a machining centre that allows us to complete the installation in a safe and effective manner.